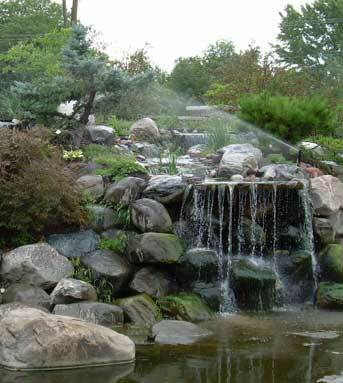 About Western Irrigation, Inc. - Western Irrigation, Inc.
Western Irrigation, Inc. is a family owned and operated business that has been installing and maintaining both commercial and residential lawn sprinkler systems in the Chicagoland area since 1975. Western Irrigation is a member of The Irrigation Association, Illinois Landscape Contractors Association the American Backflow Prevention Association among other respected Associations in the industry. Western Irrigation and all its employees are registered with the State of Illinois Department of Public health in compliance with Illinois state ordinance. Our foremen have over 60 years of experience and will install your lawn sprinkler system in a timely and professional manner with no damage to your existing lawn and landscaping. The installation of your new lawn sprinkler system comes with a complimentary RPZ backflow preventer certification, fall shut down, and spring start up and adjustment the following year. After these complimentary services, we offer a seasonal maintenance contract for the spring start up, mid-season check, fall shut down, and the certification of your RPZ backflow preventer. Western Irrigation is equally proud of its experienced and well-trained service department, which maintains over 5,000 sprinkler systems annually. Whether we installed your lawn sprinkler system or not Western’s service staff is able to address any problems you may have throughout the life of your sprinkler system. Thank you for taking the time to consider Western Irrigation for the installation or maintenance of your lawn sprinkler system. We look forward to making you another one of our satisfied customers.